This rubber-based adhesive has a high viscosity so it is easy to apply, and is clear in appearance. Its no-slump formula designed for vertical and overhead use means it will hold Hot Foot Bird Spikes firmly in place and dry exactly where you put them, even on an angled surface. It is also non-brittle, so it stands up well to changes in the temperature from hot to below freezing. Works on all types of surfaces including metal, masonry, wood, concrete, brick, and glass. 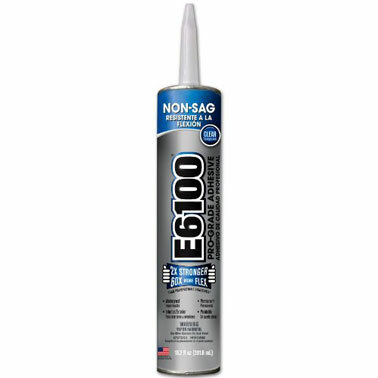 E6100 is perfect for installing Hot Foot Bird Spikes and the Hot Foot Springwire system.